I was a big fan of the Blur so It took a while to convert me but once I got into the groove I loved it. It's relaxed angles and plush travel where a winning formula, a bike you could do almost anything on, last year it was my weapon of choice to go on a big trip to Torridon and it swallowed all the big mountain scenery with ease. 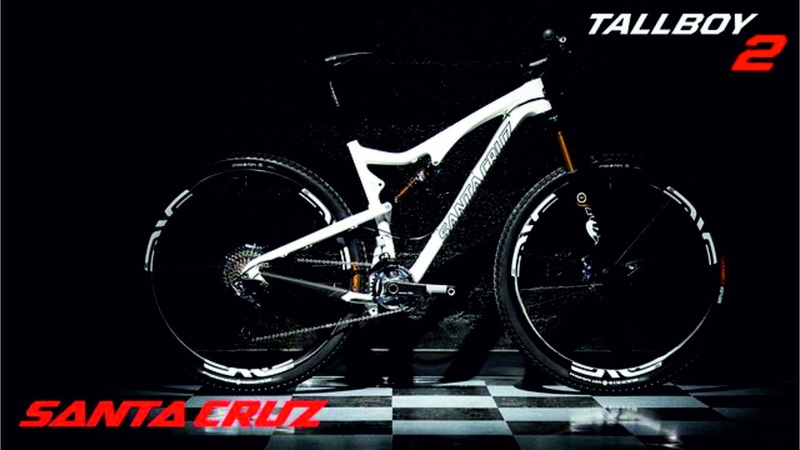 Santa Cruz had created an animal that made a lot of riders change their minds on their views on 29ers, and another benchmark for all other 29ers to be judged by. I realized my life could have just got easier, I was going to be able to ride further with the additional comfort and pedaling efficiency so started planning some big stuff to ride over, the addition of the Tallboy LT complimented my riding and opened up 29er capability, another game changer. Unfortunately a bout of illnesses over the last year had stopped any of the rides I had planned coming to fruition. All this was about to change, the new range of bikes from Santa Cruz was launched on April fools day, the Bronson took the world of enduro by storm and later the Solo on the 27.5 wheel size and SC followed that up with a very brave move with the Julianna range of female specific bikes, and it's a brilliant range that matches the gents range punch for punch. The bike I was interested in most of all at their Scottish lauch was the TALLBOY 2, it had been thoroughly redeveloped, the shape of the frame and swing arm is chunkier and smoother, the graphics have evolved with their usual timeless styling, the measurements and angles of the linkages has changed a little and it is now made from alloy rather than carbon to make it lighter. The carbon is layed up in a new way which also decreases the overall weight by a quarter of a pound, the rear wheel axle is now 142mm add this to the changes in running gear and suspension and It makes for impressive reading specifications. My first ride on one around the World Cup at Fort William was a bit of an eye opener, I could feel what had been done instantly, it behaved like a race bike acceleration was better, position felt equally as good if not better than the original tallboy but everything was tighter and lighter. So that was that - SOLD. Now I have spent more time on the Tallboy 2 it has grown to be a part of me, just when you think you found the perfect bike Santa Cruz make it better, lighter and faster. It shows how much passion they have for the sport, constant and never ending improvement is what they do. I'm not upset, getting older and faster has got to be a good thing - hasn't it? So now on to the future, I'm planning again and looking forward to the Tallboy 2 to be integral to this, It's a bike that inspires confidence, which can only be a good thing with the rides I have planned, they require a great deal of it. Just got to find a team as reliable as the bike to help with the logistics and keep me going, hey - guys - don't run off - come back.